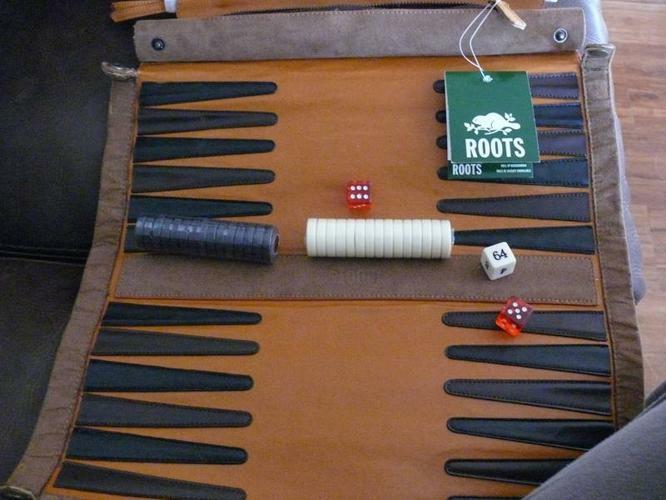 Roots Canada, Rollup Backgammon. New. Great present. The discs and dice are cleverly and securely zipped away at one end of the board, which is then rolled up and secured by two strong poppers. This makes the rollups ideal for travelling!